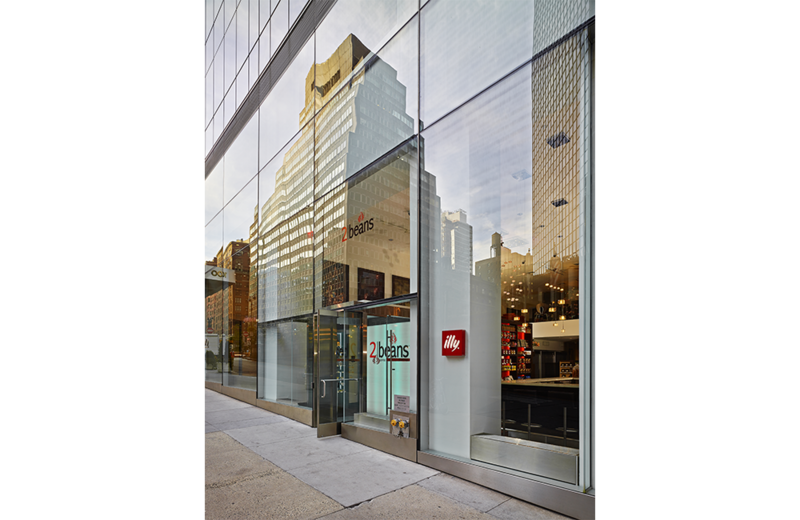 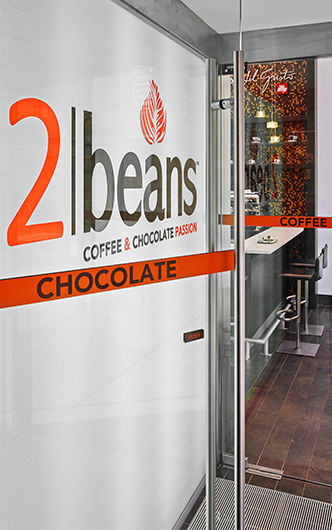 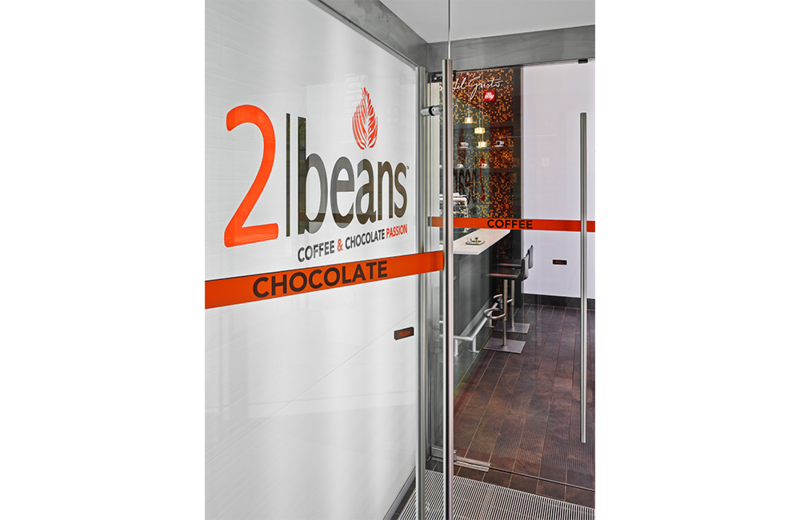 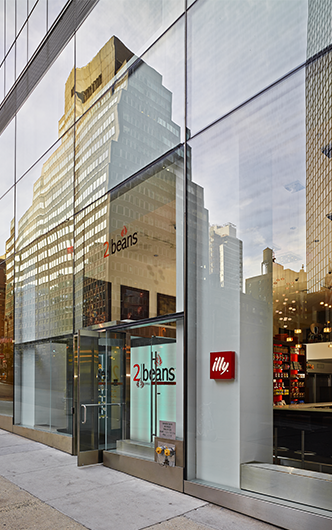 The first North American branch of the high end European chocolatier 2 Beans is now open in New York. 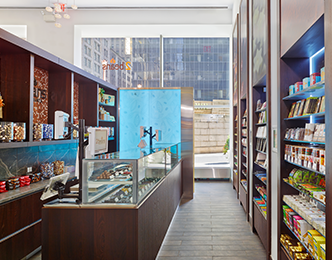 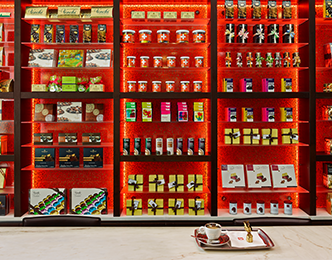 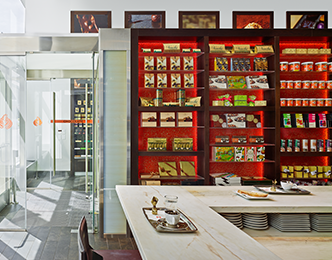 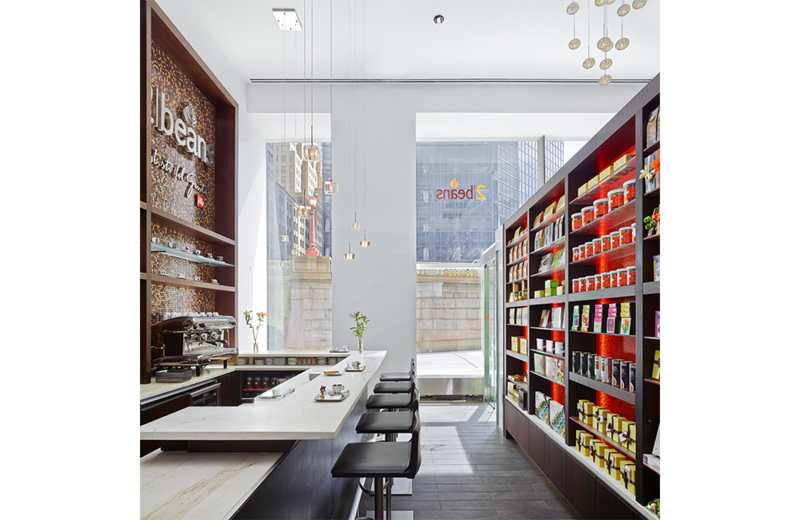 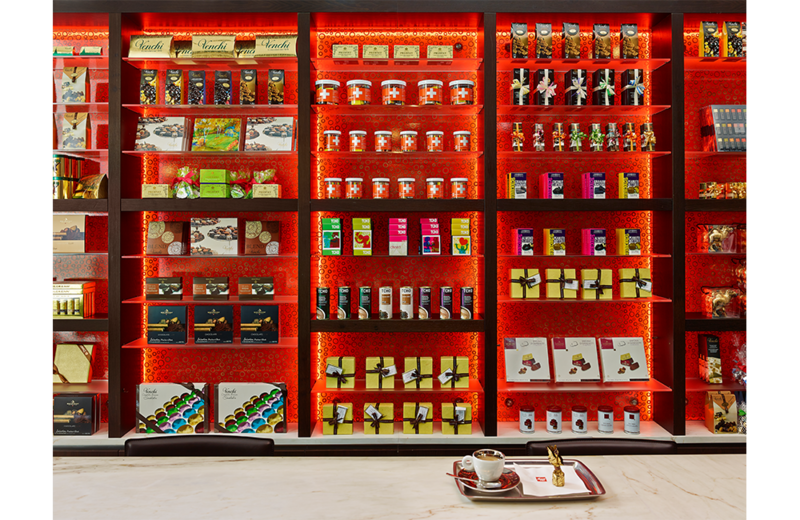 Located right off of Grand Central Station, the flagship shop accommodates both a chocolate bar and coffee bar to serve decadent treats on the ground floor with additional seating on the mezzanine level. 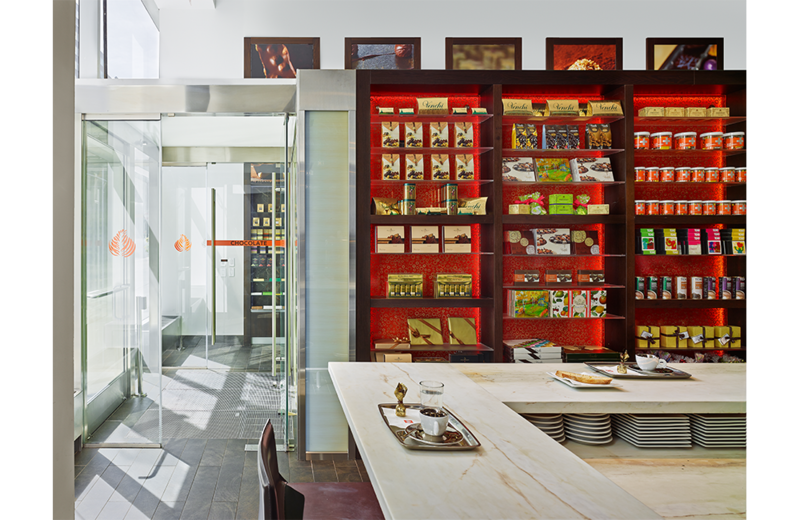 Murdock Solon Architects developed the brand prototype to include rich smoked chestnut millwork displays throughout the space with complementary dashes of the brand’s signature orange on feature walls and back-lit panels. 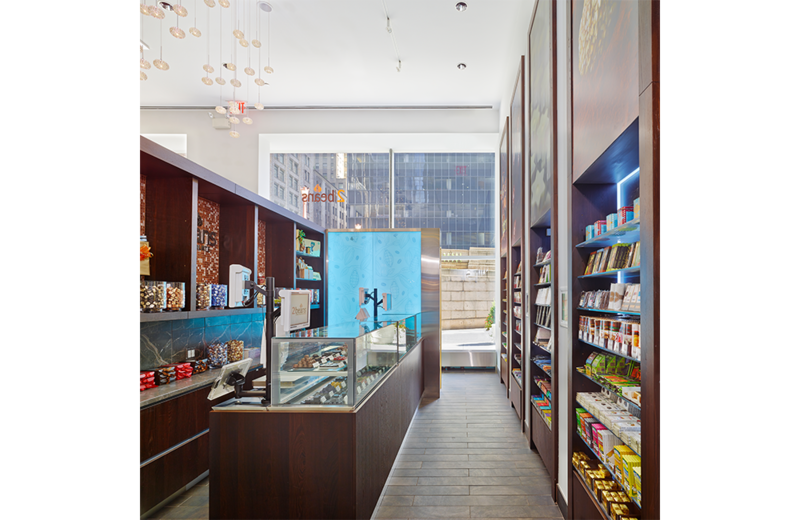 Iridescent mosaic tiles and die-cut stainless steel signage add warmth and depth to the 18-feet high retail area. 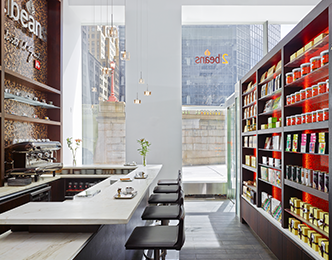 The coffee bar serves both beverages and pastries to-go behind a creamy white marble counter.